ndia has been the “treasure-house” of Indian Culture and Vedic Studies from time immemorial. Astrology is a noble science. It is as old as the ages of the Vedas. It depends on the position of the planets ascertained astronomically. Whether the sign occupied by the planet is fiery, earthy, airy or watery; cardinal, fixed or common; fruitful or barren, masculine or feminine; human or bestial; mute or voice; etc. and any house gives the results as is changed by the constellation lord. What results are indicated by a planet in that star or while a planet transits in that asterism. From experience after a long research, it is found that a planet may occupy a house, for example, the 11 th house; but the result offered by that planet during its dasa or bhukhi or anthra and at the time when it receives aspects from other planets is different, it causes loss and separation instead of profit and pleasure. But the result that is experienced is not the same as the house signifies. But the result that is experienced is not the same as the house signifies. But one experiences predominantly the results of the bhavas, signified by the lord of the constellation in which the planet is positioned in the horoscope. Therefore, the following results without any other modification are given for each planet owning different houses influencing the constellation lords of the 12 houses. Let us take a example. Suppose one born in Capricorn, Mars is occupying the 6 th house. If the planet were to be situated in one of the 3 stars governed by Mars Mrigasira, Chitra or Danistha, then one is to read a) Mars as constellation lord in 6 th and b) the results given under Mars, constellation lord of 4 and constellation lord of 11. Of these results the planets in the constellation of Mars will predominantly give the results of the 6 th house. It also includes the other results given as the lord of 4 and 11. India has been the “treasure-house” of Indian Culture and Vedic Studies from time immemorial. Astrology is a noble science. It is as old as the ages of the Vedas. It depends on the position of the planets ascertained astronomically. It explains the celestial phenomena and corresponding terrestrial events. The true meaning of astrology is the “Message of the Stars”. By ancient principles of Astrology depending on the position of planets ascertained astronomically one can forecast events. The Zodiac is divided into twelve equal parts; each division is called a Solar mansion (or Rasi or Sign ). They are Aries, Taurus, Gemini, Cancer, Leo, Virgo, Libra, Scorpio, Sagittarius, Capricorn, Aquarius and Pisces. The Hindus have another division also. The Zodiac is divided into twenty seven equal parts each measuring 13°-20′. They commence from Aries 0° and end by Pisces 30°. The 27 divisions are called Lunar Mansions ( Nakshatras, Asterisms, Stars, Constellations). They are called Ashwini, Bharani, Krittika, Rohini ,Migasira, Ardra, Punarvasu, Pushya, Aslesha, Magha, Poorphalguni, Uttharaphalguni, Hastha, Chitra, Swathi, Vishakha, Anuradha, Jyestha, Moola, Poorvashada, Uttharashada, Shravana, Dhanishta, Sathabhisa, Poorvabhadrapada, Uttarabhadrapada, Revathi. According to Hindu Vedic Astrology Sun, Moon, Mercury, Venus, Mars, Jupiter, Saturn and two nodes namely Rahu and Ketu’ s position in Zodiac with respect to one’s Ascendant / Lagna determines one destiny. 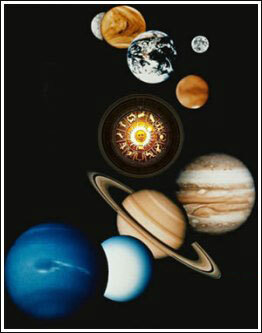 Position of all these 9 entities / 7 planets and 2 nodes in the zodiac at the exact time of birth is called horoscope. To cast a horoscope one should know the exact Date, Time and Place of Birth. Date and Time is needed to get the exact position (Exact degree and minutes) of the planets and place of birth is needed to know the Ascendant / Lagna – the starting point of all calculations for an individual horoscope. 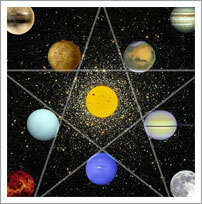 It would be an unending discussion if we were to explain you every aspect of vedic astrology or horoscope now but surely we would cover many aspects of Vedic astrology with a special mention to Krishnamurti system of stellar astrology in our endeavor to spread the knowledge of vedic astrology to the entire world. This artical has been launched to make the life of the people better by letting them aware of what is awaiting in their life. Entire gamut of life can be explained with the help of Hindu Vedic Astrology. We would make a sincere effort to highlight every aspect of your life while evaluating your horoscope. The best of Pt. Vijay Sharma’s traditional Vedic astrology principles are used to make the predictions.